One of the features that my plugin adds to WordPress is the ability to add rating stars to articles. I use it a lot on my reviews of restaurants and food establishments, and now, I’ve decided to package it as a separate stand-alone plugin and make it available for download. More importantly, however, I figured this plugin would be a good opportunity to share some PHP code (below) and help someone else out there who’s trying to get started with writing a WordPress plugin. 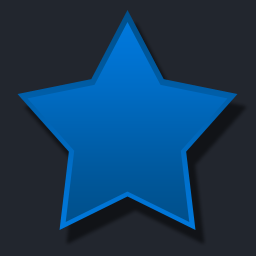 If all you want is to download the plugin, here it is: DM Stars Plugin. All you have to do is copy the folder to your "plugins" folder and then activate it in your site’s admin area. To use it, you just have to use a shortcode: [stars rating="2.5" type="Service"] wherever you want the stars to appear. The plugin will display the correct amount of stars and do the rest for you. (The type="Service" part is optional and defaults to Overall Rating if you leave it out.) That might be a little hard to remember for some people, so the plugin also adds a new "Stars" button to the toolbar on your "edit posts" screen and prompts you to enter all the correct information. It couldn’t be any easier! return '<div class="dm-stars2" style="float: none; margin: 1em auto; width: 160px;">'. $images. '<p style="background: #eee; margin: 0; padding: 0 0.5em; line-height: 1.5em; border-bottom: 1px solid #ccc; border-top: 1px solid #ccc; font-size: 0.75em; color: #444; text-align: center;">'. This is the function that get’s called whenever WordPress encounters our [stars rating="2.5"] shortcode in one of our articles. We set the default rating to be 2.5 and our default rating type is Overall, but these values get overridden with whatever we specify in our shortcode. The next part converts our number (2.5) to a fraction (2½) and then determines the correct images to use for each of the five stars according to the rating number we’ve assigned. The function returns the HTML code that should be included in our article and effectively replaces our [stars rating="2.5"] shortcode. Essentially what we’re doing is adding a "Stars" button to our toolbar and creating a function dm_embed_stars() that will run whenever that button is pressed. You can see that all it does is prompt us for the rating and the rating type and then uses that information to generate our shortcode and embed it into our article. Pretty simple and basic, but hopefully it gives you a good starting point for your own plugin. Let me know what questions you have! DM Rating Stars — WordPress Plugin was published on Wednesday, January 5, 2011 at 10:55pm EST by Daniel Menjívar and last updated on April 11, 2018 at 9:30pm UTC .